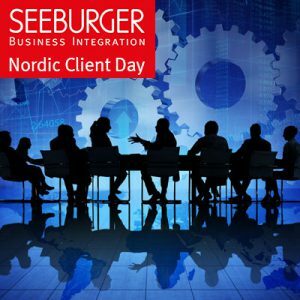 SEEBURGER Nordic Digital Transformation Day was held in a sunny Stockholm, where we gathered customers, business partners and contacts. There were interesting presentations from customers, SEEBURGER management and live solution demos. For us it is clear – Integration is the foundation for the digital transformation! 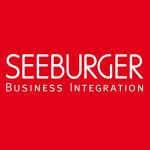 SEEEBURGER is involved in several exciting, business critical and interesting digitalization projects to help automate processes, add value to old and new business services, gain more insight of business processes, faster time to market – and these projects require a solid foundation for integration. Be faster – Time is a critical factor. Today we expect everything to be a “click away” – and we need to provide this to be effective and competitive. We need to offer new services much faster and the time to market needs to be as quick as possible. This includes the internal work but of course external services and products need to be launched fast. Otherwise someone else will take you place. Don’t be afraid to fail – try again – When everything needs to be fast we will see mistakes and failures but that is ok as long as you realize it, act fast and try again. Work closely with your partners – You are not alone in this. To be successful you need good partners and stakeholders, and you need to work closely with them. They can, together with you, help deliver and reach your targets. Be in control – As a consequence of all the above you need to stay in control. It is critical to have visibility and insights in the digitalized business processes to avoid the risk of not being in control. Based on the rising volume and the velocity that comes with digitalized business processes you typically will have issues to satisfy the expectations of all stakeholders: business, partners and IT. Get in contact with us and we can discuss the next steps to be digitally competitive. We want to thank all the participants and specially the speakers in making this a successful event!